The Basic Locked Deck Effect: A card is selected by a spectator and the spectator holds and locks the deck with a ring, never letting the cards out of his hands. 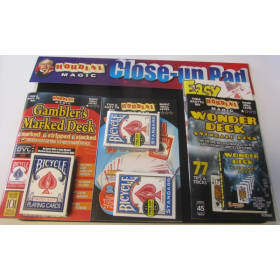 A magic pass is given by the magician, and the spectator fans through the cards face up, card by card. The card has vanished! It can be found in the card case that was in full view or other location. 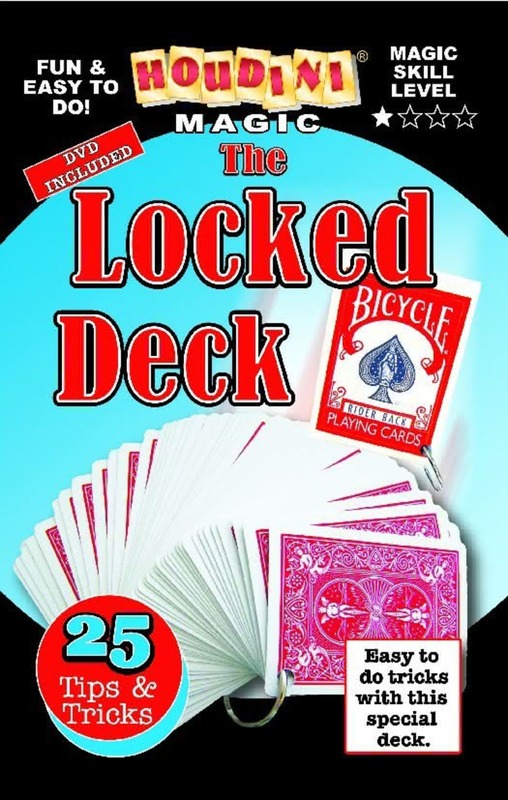 Card In Ballon: Have a card selected by the audience escape from the locked deck. Take a balloon from a bunch of inflated balloons, pop the balloon and the spectator's card appears from inside.